Zines created by youth at Kulture Klub Collaborative donated to the Floating Library in 2013 . 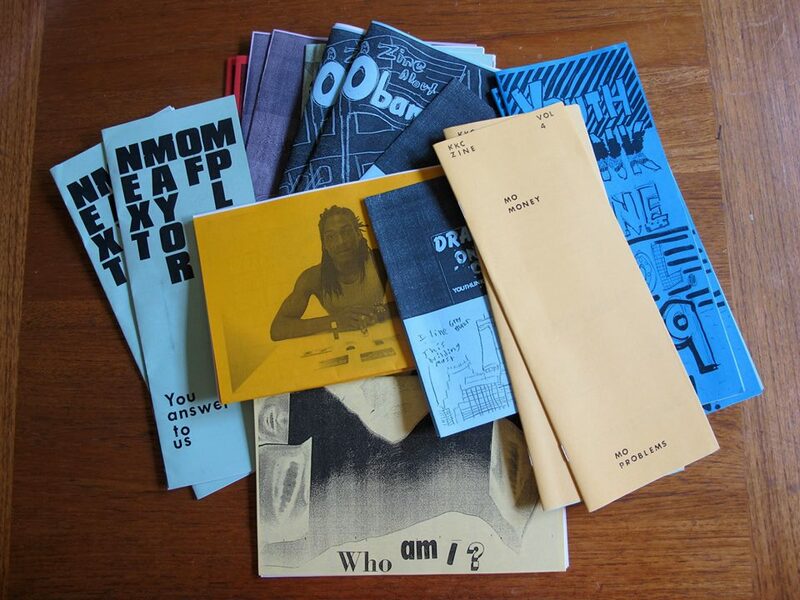 Zines are simple books with images and text, typically produced via photocopying or other quick printing techniques, and are often used by activists and community artists to convey ideas and stories through this inexpensive medium. The Floating Library’s collection is full of them, from the all-time favorite Prince Food by Martine Workman to Dogs and Puppys by Astrid, age 9. At this free workshop, use simple tools like a photocopier, paper, scissors, thread, linoleum blocks and ink to design and print your own zine. We’re inviting people to bring family photographs, photos of places you have visited, cultural imagery that you relate to, or any other relevant imagery to photocopy and add to your story. Our host for this endeavor is the East Side Freedom Library, a historic Carnegie library building in St. Paul’s Payne-Phalen neighborhood that now houses a non-circulating collection of books about labor and working class history, Asian, Asian American, African, African American and disaporic histories and much more. Their mission is to inspire solidarity, advocate for justice and work toward equity for all. A selection of books from ESFL will be on hand for inspiration, images and information about immigrant history in St. Paul’s East Side. Use the photocopier to borrow images from these books, then cut and paste them to tell your own story. If you wish, your zine can join the collection of the Floating Library and be read by people on Lake Phalen! Big thanks to Peter Rachleff and Beth Cleary of ESFL and to FL 2016 Commissioned Artist Aaron Johnson-Ortiz for teaching! RSVP and invite others on the Facebook event page. 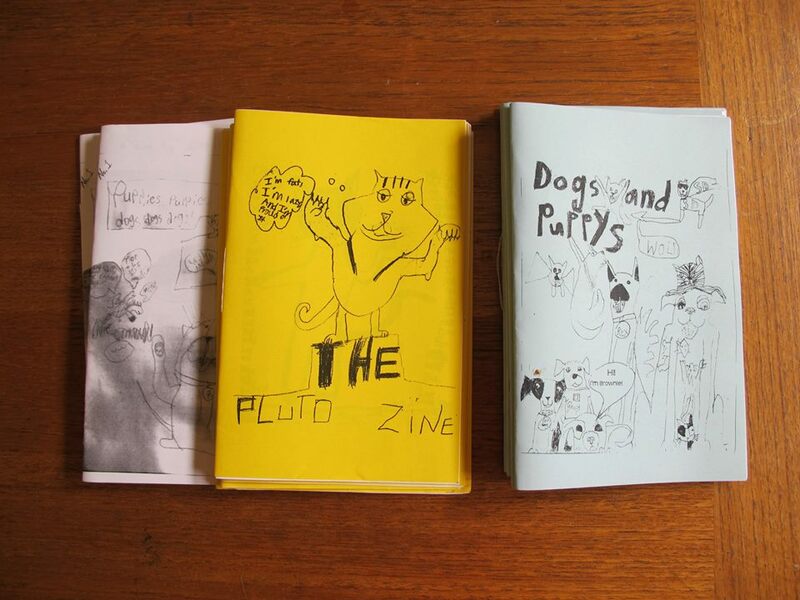 Zines by Astrid, age 9.